Concept books are a type of picture book that introduces basic ideas, or concepts, to young children. They are sometimes described as informational picture books for preschoolers. These books play an important part in early literacy and can be found in all our children’s collections. In this series of posts, we are going to highlight concept books according to theme, providing a booklist with additional recommendations. This time we will focus on color. 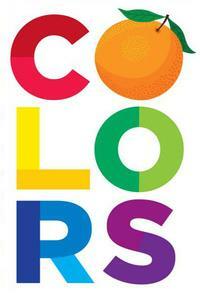 Concept books about color teach color naming and color mixing theory. Sounds complicated, but these books make it easier to understand how mixing two primary colors create a new secondary color. A fun follow-up activity is to play with paints and make it happen on paper – always a favorite! This is one of my favorite books on color! Three white mice in a white paper page are hidden from the cat. 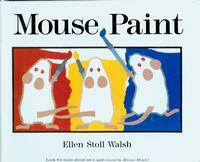 The mice find three jars of paint: red, blue, and yellow, and go investigate. They jump in and out, dance in the puddles, and discover some amazing things—like green... and orange... and purple. Yet they never forget about the cat! This one is a classic, with rhymes and repetition that are perfect to share with preschoolers during story time. 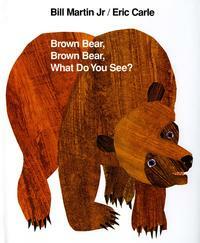 What does the Brown Bear see? He sees a big happy frog, a plump purple cat, a handsome blue horse, a soft yellow duck, and more. Children love Eric Carle's flat, boldly colored collages! Different-colored monsters happily howl, growl, and roar for more as they mix and match primary colors to make new shades and hues. While everyone might know that yellow and blue make green, it has never been created in such an unusual and celebratory way! 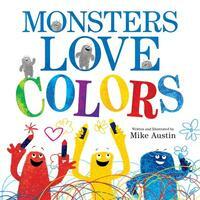 In this wild and colorful romp, small gray monsters morph into big, colorful ones as the book progresses. Never has color been presented in such enthusiastic and exuberant style. Never have monsters been so creative and appealing! Looking for more books on color? Head over to our list of Books about Colors for additional recommendations. Concept books about color teach color naming and color mixing theory.